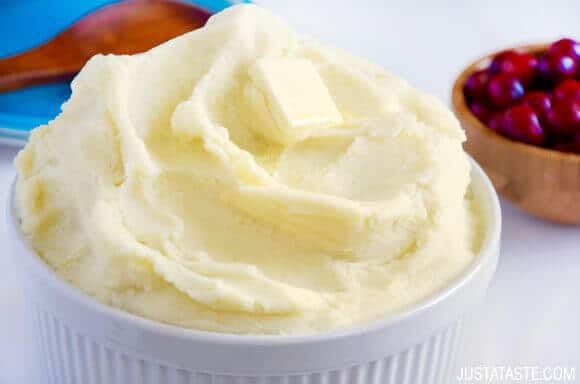 Everyone’s favorite starchy side dish is getting a welcome update with this quick, easy and extra creamy recipe for The Best Secret Ingredient Mashed Potatoes. 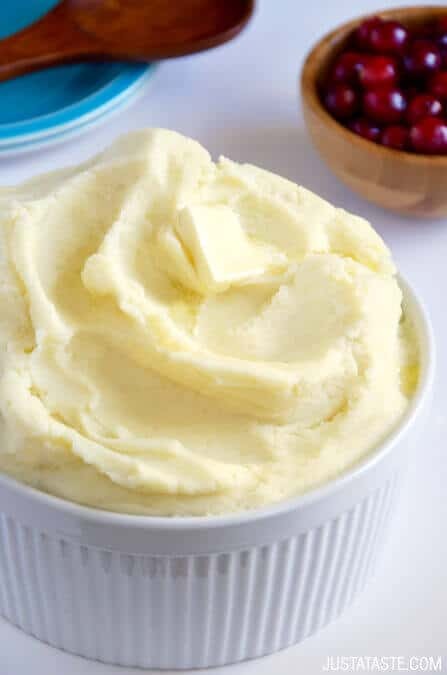 Can you guess the secret ingredient that makes these the creamiest mashed potatoes to ever cross your lips? It’s the same ingredient that stars in my all-time favorite recipe for soft and chewy Chocolate Chip Cookies. It’s a popular breakfast item. It’s not sour cream, mayonnaise or butter (but there’s plenty of that in these taters, too). The secret ingredient is … cream cheese! And I have my husband’s grandmother (hi, Barbara!) to thank for introducing me to this amazing mashed potato mix-in last Thanksgiving. Cream cheese adds creaminess and a touch of tang without overpowering the pure flavor of the potatoes. 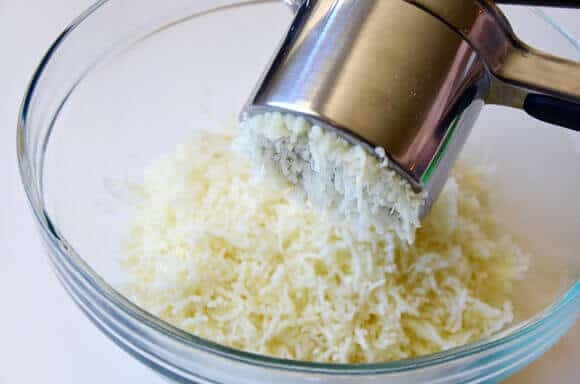 And the second most important tip for perfect mashed potatoes: Use a potato ricer! It guarantees an extra velvety texture sans any lumps. 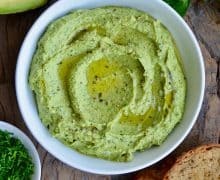 Love mashed potatoes but looking to lighten the caloric load? Don’t miss my quick and easy recipe for Mashed Cauliflower with Cheese and Chives. 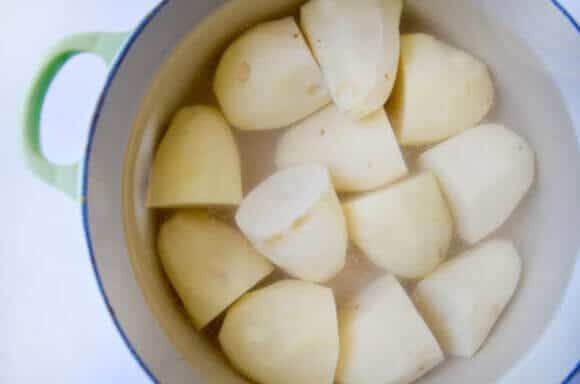 Peel the potatoes, cut them in half then place them in a large stock pot filled with salted water. (The water should be at least 1 inch above the potatoes.) Place the pot over high heat and bring the water to a boil. Cover the pan, reduce the heat so the water is simmering, and cook the potatoes until they are fork tender, about 15 minutes. 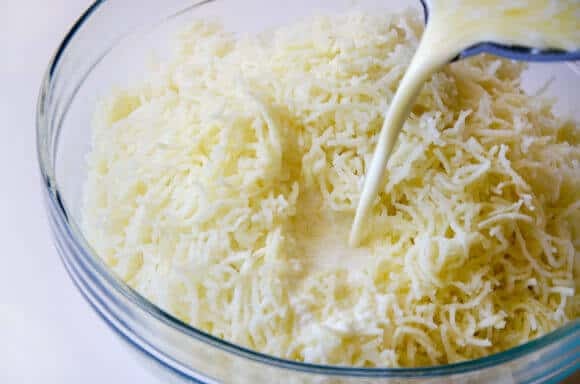 While the potatoes cook, combine the heavy cream, butter and cream cheese in a small saucepan set over medium-low heat. Cook the mixture until, stirring frequently, until the mixture is smooth and warm. Drain the potatoes, then once they’re cool enough to handle, pass them through a ricer into a large bowl. Add the heavy cream mixture to the bowl, stirring to combine. Taste and season the potatoes with salt and pepper.